In patients with heart failure (HF), the two main causes of death are sudden cardiac death (SCD) and progressive pump failure. In the Framingham Heart Study, HF increased overall and SCD mortality fivefold . 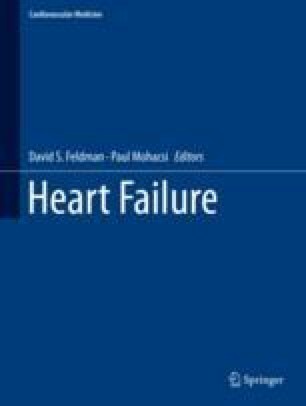 In patients with Class II or III HF, the mode of death is more likely be to “sudden” while in patients with Class IV HF, it is more likely to be due to pump failure . The most common cause of SCD is the degeneration of ventricular tachycardia (VT) to ventricular fibrillation (VF), although pulseless electrical activity (PEA) and bradyarrhythmias account for up to one-third of cases . Electrical defibrillation is the only effective approach for terminating VF. Following success with external defibrillation, an implantable defibrillator was developed in the mid-1960s and the first automatic internal defibrillator was implanted in humans in 1980 [4, 5].